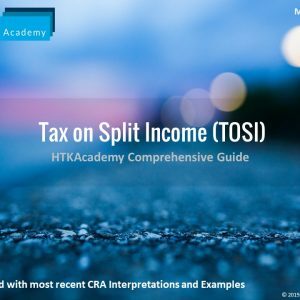 Download our PDF version of the comprehensive Tax on Split Income Guide updated for the latest CRA Rulings and examples up to March 2019. This is a great reference tool for tax practitioners. Our comprehensive TOSI Guide is all you need to understand the complex TOSI rules. Updated with the latest CRA Rulings and examples up to March 2019. This download gives you access to the PDF file. If you want to view the free online version click here.